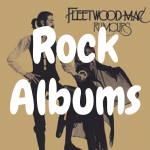 You are here: Home / Buying Record Players / What’s the Best All in One Record Player to Buy? You have finally given into the hype and decided to dip your toes into the world of vinyl, but you also like other forms of music too—formats like CD or cassette tape or even AM/FM radio. And on top of that, you don’t want to be bothered with picking out speakers—you want the speakers contained in the same machine as the record player. Well, if that sounds like you, you’re most likely searching for the best all in one record player, which will not only have a built in turntable, but a CD player, a cassette player, AM/FM radio and built in speakers. In this article, I’m going to help you determine what the top all in one turntables are on the market, the advantages and disadvantages of buying one, and what key features you need to be aware of to best enjoy your new investment. 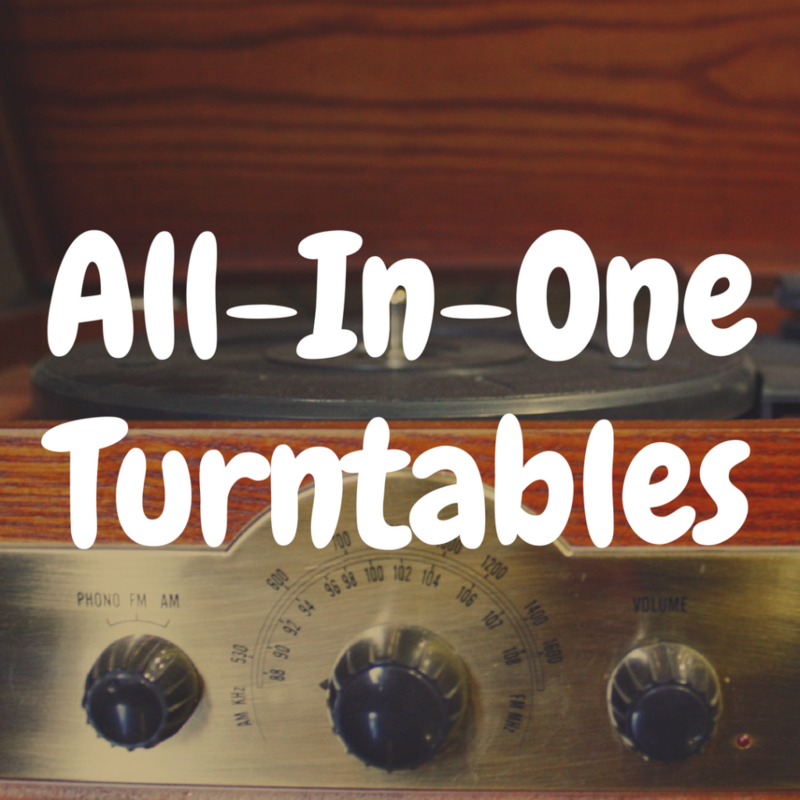 And below, take a look at some of the most popular turntables on today’s market, and see how well they stack up to the record players we discuss throughout this article. Why an All in One Record Player? Though these one stop shop setups aren’t exactly favored by all, they get the job done and more often than not, at a fraction of the price a full HiFi setup would cost. With features like built in CD players, cassette players, AM/FM radios, headphone jacks, aux and USB inputs, Bluetooth connectivity, preamps and speakers, you can condense an entire shelf of equipment into one compact box. While these all in one turntable are the easiest way to sink your teeth into vinyl, there are a few things to take into consideration before diving in headfirst. When you wake up one day and realize “THIS is why people love vinyl,” you’ll find yourself frequenting record shops more and more often and your shelves will start to fill with big, beautiful copies of your favorite music. But there will come a time when you’ll realize that you want to squeeze that collection of yours for all its worth and coax the best sound possible out of those tiny little grooves. The only problem is, with most all in one turntables, there aren’t many options to upgrade or expand on the low sound quality you can expect to find from these jacks of all trades. Once the upgrade bug bites, you’ll likely need to upgrade to a full HiFi setup, but by that time, you’ll know your love is true, have time to research and likely a better understanding of the world of analog music. That being said, think of the all in one turntable as the gateway to HiFi, one that many audiophiles first stepped through themselves on their journey to sound nirvana. Additionally, having a backup record player is never a bad idea, you never know when something could break down temporarily on your main setup leaving you stranded, or maybe you’ll move out of that tiny place into something bigger one day and you’ll want to listen to records in a secondary spot, or you’ll meet a significant other to woo and brighten their record-less world. Point being, it never hurts to have another option, especially one that you aren’t too invested in and overprotective of. Before you cross that gateway however, do tread lightly. All in one record players have been known to damage records, usually due to an unbalanced tone arm weighing too heavily and pushing a usually low-quality needle to deeply into the groove, so it may be smart to stick to used, inexpensive records without sentimental value when using one of these record players. With that said, for this article, we’ll be examining the five best all in one record players and looking at price, quality, pros and cons and finally crowning the best available. Let’s begin with the Electrohome Signature. Available at $199, the Signature isn’t the cheapest all in one record player on the market, but that comes with quality that is higher than average in its category. While many all in one record players tout a vintage look, the Signature is one of the few that look like it could actually have been sitting in your grandparents’ attic for decades if you don’t look at it too closely, in a good way. Its classic design is handcrafted and features real wood with a walnut finish and pays close attention to the details like amber lighting on the analog tuning dial, rotary control knob and antiqued patina faceplate for a truly retro aesthetic. 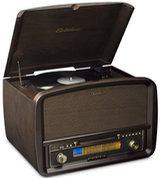 The Signature boasts a multitude of features that draw people to the all in one record player in the first place. From AM/FM radio to a USB port with the ability to convert vinyl to mp3, CD player, 3.5mm auxiliary input, there are a variety of options to enjoy your favorite tunes. However, the star of the show is the record player hiding discreetly under the top. It is fully automatic, belt driven and plays at three speeds, 331/3, 45 and 78 revolutions per minute, allowing for even more possibilities to enjoy your collection. These features are rare for this kind of record player, and aren’t guaranteed in many setups at much higher prices, making it an obvious pro. Another impressive feature is the surprising amount of power packed into this compact package. It does weigh 26 pounds, which can be a con if you’re looking for something portable, but it houses four high-performance speakers and tuned acoustic speaker chambers inside the unit to produce a room-filling, crisp sound. The ceramic cartridge comes with a sapphire needle and is not likely to damage your records. 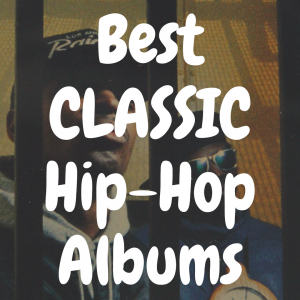 However, there is no option to connect to external speakers and it does not include a cassette player, which many all in one turntables do, which can be two considerable cons, depending on your intended usage. 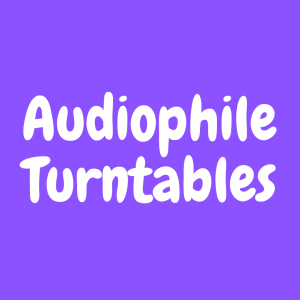 Electrohome has over 100 years of experience in the audio industry and offers a 1-year warranty, making the Signature one of the best selling all in one turntables on the market. All things considered, it comes in at 4 out of 5 stars. I also wanted to include a couple on this list that are merely portable record players rather than all-in-one record players, and the JTA-230 certainly fits the bill here. The first thing that stands out about the JTA-230 is the price. At $49, it’s one of the cheapest options to dive into the world of vinyl available, and technically includes everything needed to get started. It is light, compact and portable which can be a pro and also plays at three speeds, 331/3, 45 and 78 revolutions per minute. Also featured is a USB port to connect to your computer or mp3 player, headphone jack, inbuilt speakers, Bluetooth connectivity, digital radio and RCA ports to connect to external speakers. However, that is where the positives end. While the JTA-230 is technically a belt-driven turntable, the motor is not isolated as is typical with belt drives and the platter is very light, meaning that your records will not spin at a very stable speed. The biggest con however, is excessive tracking force, meaning that the needle digs too deeply into the groove of your records and the chances of damaging them are high, so be advised not to spin any valuable vinyl on this turntable. The tonearm included is also loosely constructed and wiggles at its base, leading to diminishing sound quality and increased wear on your collection. So, aside from the price, there isn’t a big draw to this record player and is likely one that you’d receive as a gift from your “cool” aunt. You can thank her kindly, but tread with caution when using to avoid heartbreak and enjoy it until you’re ready to upgrade down the line. We’ll give it 2.5 out of 5 stars. 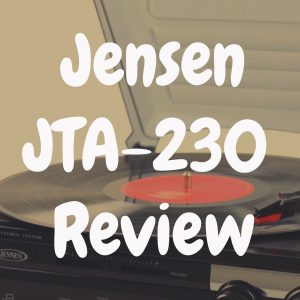 You can read our review of the Jensen JTA-230 here! This turntable definitely stands out visibly from others within the category. 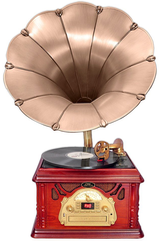 The notable gramophone phonograph replica styled horn certainly makes a statement, but it and the decorative tone arm are more fashion than function and that is pretty much what you’re paying $364 for, a conversation piece. Though the horn does produce sound, most of it is coming from internal speakers. It does offer the usual list of all in one features including 3-speed belt-driven playback, Bluetooth capability, vinyl to mp3 conversion capability, AUX input, headphone jack, remote, AM/FM Radio and CD & Cassette players. While Pyle is a reputable name within the audio industry, it is mostly for their speakers and audiophiles are wary of their turntables- this one being no exception. Most would expect high sound quality for the price and are let down by its durability and quality. Unless you are someone who really loves the aesthetic and is looking to use it as more of a prop than an everyday-use piece of equipment, there are better options. This turntable earns 2 out of 5 stars. The LPR550 is truly an all in one record player. It comes in black or walnut, with black available at $269 and walnut at $369 with no other difference, so unless you’ve gotta have that wood finish, the black will do just fine and we’ll be referring to that price. The record player itself is versatile featuring 3 speed playback and a unique tone arm that is intuitive making it easy to put in place without damaging the vinyl and then returning to its rest once the side of the record ends. The featured sapphire shaped needle will need to be replaced frequently but doesn’t typically damage vinyl and can be replaced cheaply. Another unique feature is its recording capabilities. You can convert records to digital formats using only this all in one player so you can make special mixtapes until the cows come home. The built-in speakers are quality, but the RCA port allows you to connect to external speakers, a big pro. Seemingly, the one thing it does not include is Bluetooth connectivity, but if you can live without that, the LPR550 is an excellent choice. 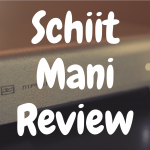 While the price is not the highest within the category, it is on the higher end of the spectrum, but instead of relying on flashy features, it includes ones you can actually use and equates to a high-quality listening experience. It earns an impressive 4.5 out of 5 stars. And here’s another record player that merely has built-in-speakers as opposed to a CD or cassette player (or radio, for that matter). While Crosley may not have the best reputation among audiophiles, the all in one category is their domain and they are a very popular, low end choice, so it is worth consideration. Crosley really hangs their hat on their turntables’ portability and design and the Nomad may be have the most appealing look of their portable turntables. At $133 in brown and $170 in gray, it may not be the cheapest option, but it certainly is stylish. Its suitcase design and vinyl-wrapped exterior are appealing in their own right, but it is important to keep in mind that the speakers are located on the sides rather than the front. This can help to fill a room with sound, but if placed against a wall or any other object, it will very noticeably distort the sound. The Nomad features 3-speed, belt driven playback, diamond shaped stylus, USB port, auxiliary input, headphone jack and RCA ports, so everything you’ll need to enjoy your records, but nothing more. If portability and design are what you’re looking for, the Nomad stands out, but if you’re looking for a setup to play multiple forms of media, it obviously leaves something to be desired. It comes in at 3.5 out of 5 stars. You Also Might Want to Read: Are Crosley Record Players Bad for Beginners? You Might Enjoy: What’s the Best Suitcase Vinyl Record Player? Our winner is the Teac LPR550. It’s versatility, design and price combine for a truly all in one experience at an inclusive price to help beginners dig into the world of HiFi and offers a quality option for veterans in need of an all in one solution. It’s unique recording abilities are a fun and useful feature allowing users to create CD mixes from their various forms of media to enjoy on the go or distribute to friends and its solid construction offers intuitive usage and quality playback. If you’re in the market for an all in one record player, look no further than the Teac LPR550. 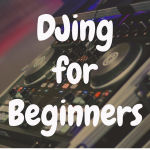 DJing for Beginners: Are Turntables Dead?